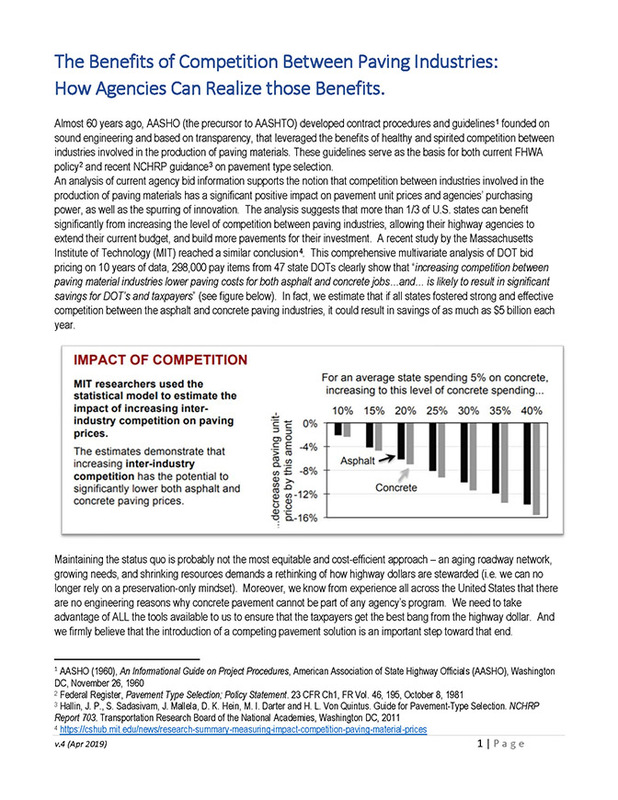 A whitepaper on how agencies can realize the benefits of competition between paving industries. 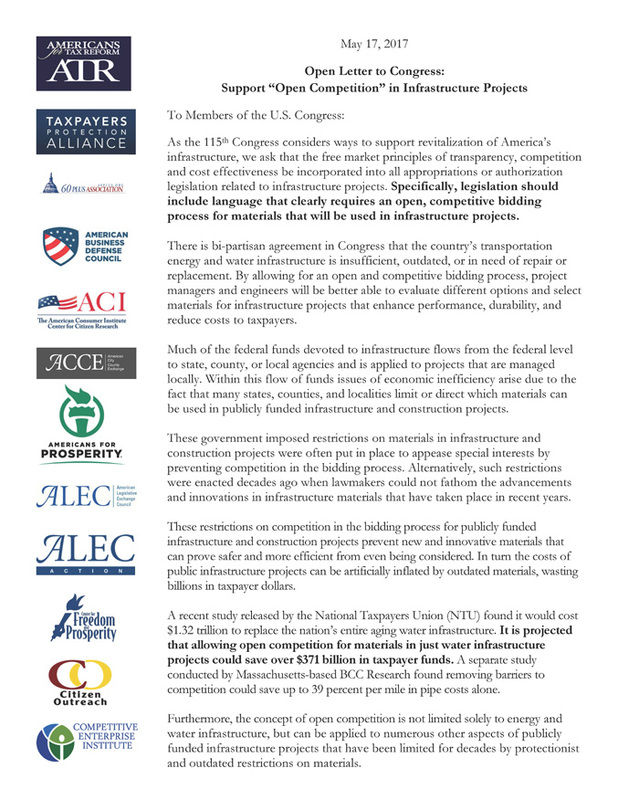 A broad industry coalition speaks out in support of greater competition in the construction marketplace. 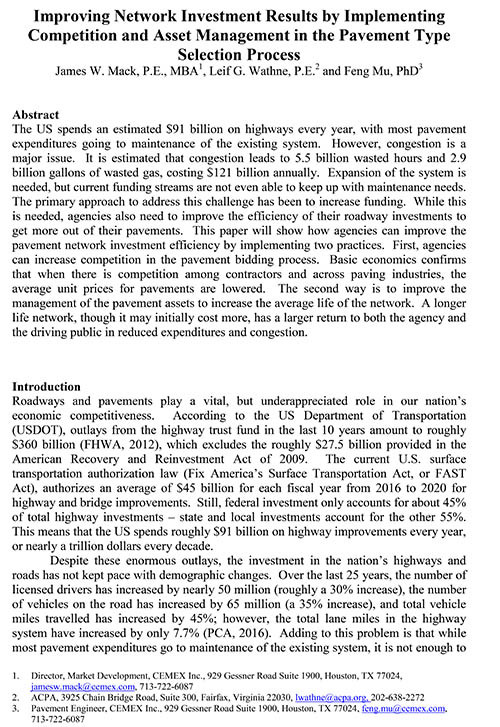 A research paper on how competition and asset management in pavement type selection processes improves network investment results. 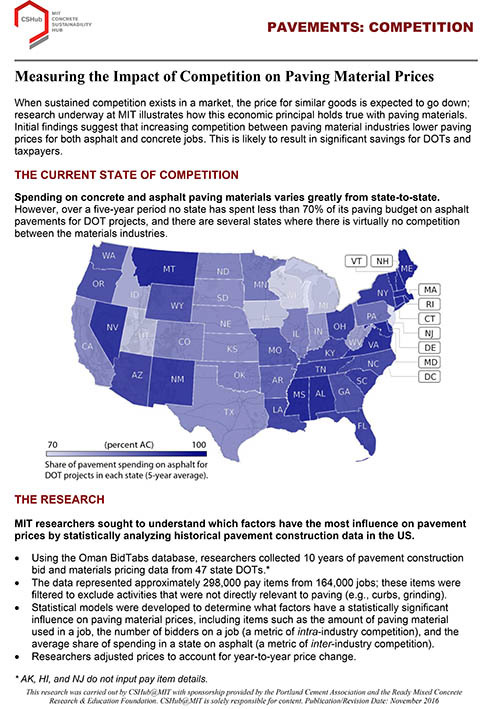 MIT Concrete Sustainability Hub's report measuring the impact of competition on paving material prices. 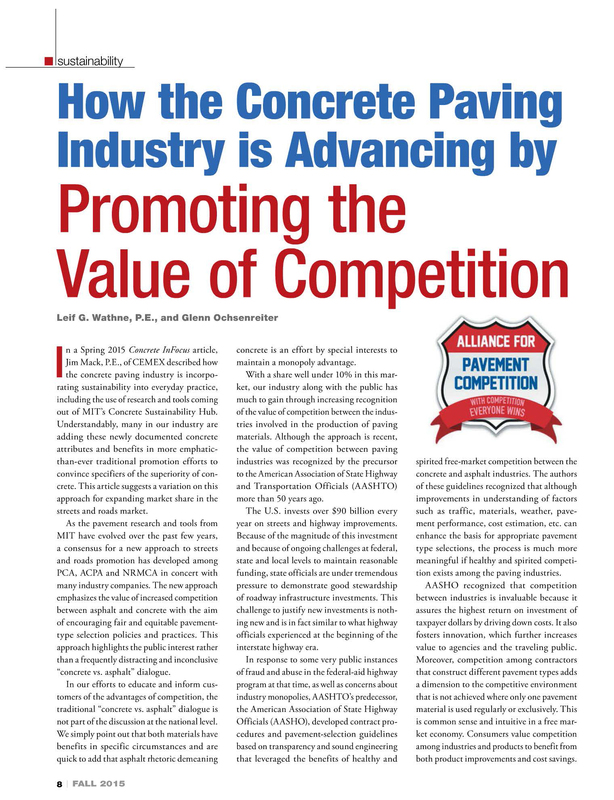 Formal position on competition in pavement construction. 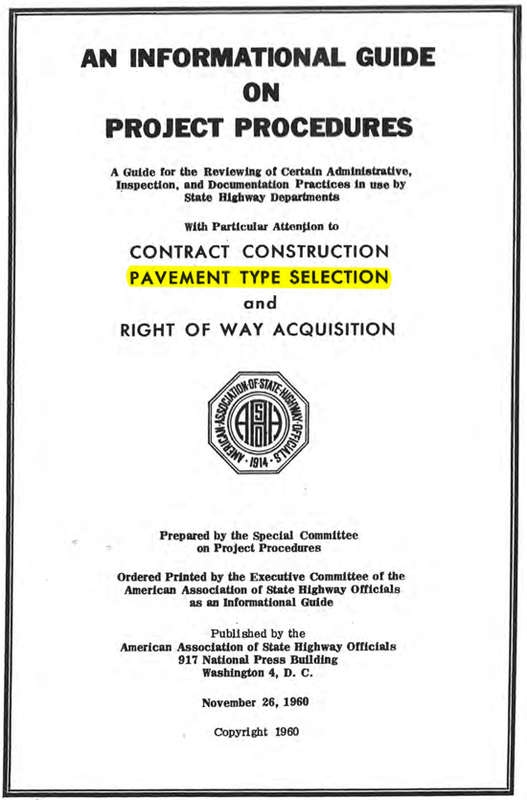 AASHO document from November 1960 provides pavement type selection guidance, which is still relevant today, including the important role competition plays in this process. 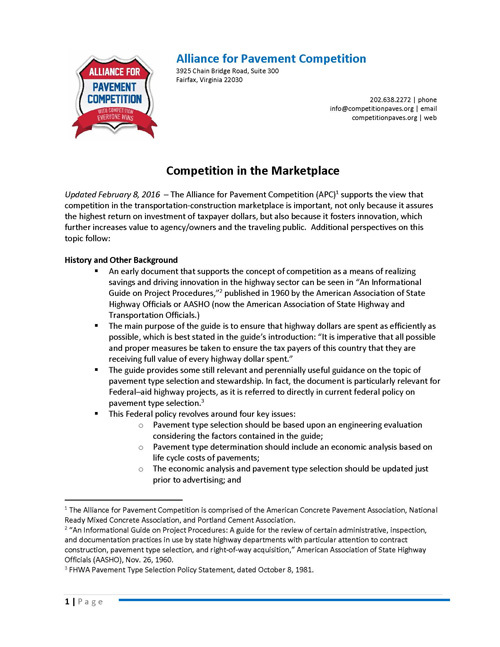 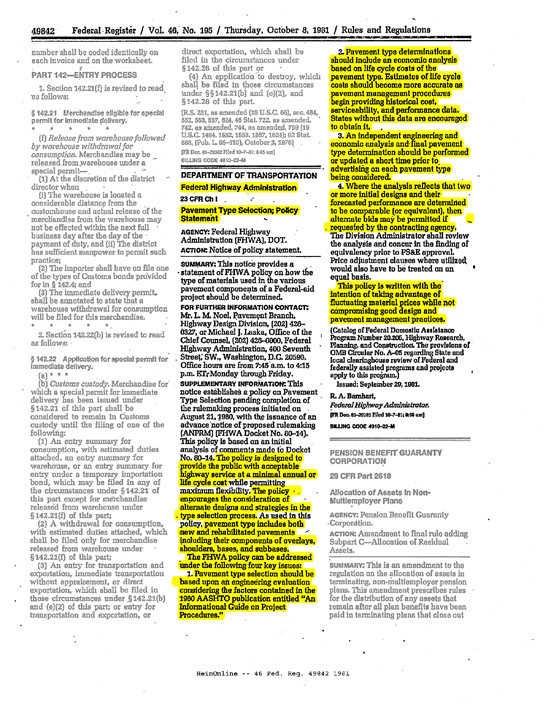 Document spells out the the Federal Highway Administration's Pavement Type Selection Policy (from Title 23 - Code of Federal Regulations, invoking the 1960 AASHO guide as the de facto pavement type selection policy for federal aid projects.